Nechako Bird Sanctuary near Vanderhoof, British Columbia, Canada is a protected 180 hectare birdwatching destination and recreational park located on the shores of the Nechako River just north of the community of Vanderhoof. 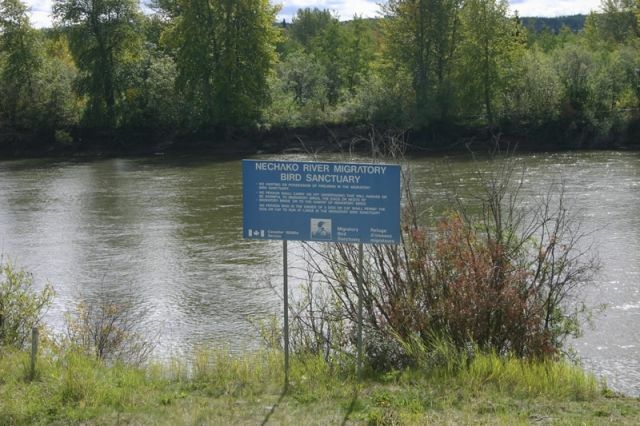 The bird sanctuary was first established in 1944.The Nechako River runs through Vanderhoof and the sanctuary is on the migratory bird path known as the "Pacific Flyway". The small islands in the middle of the river create ideal spots for migrating birds to rest uninterrupted. Some of the birds which visit the area, on and off, include Hawks, Chipping Sparrows, European Starlings, Great Horned Owls, Bald Eagles, Great Blue Herons, Pileated Woodpeckers and American Robins. Most famous has to be the Canada Geese, who arrive in the thousands, stopping in at the Nechako Bird Sanctuary to rest before reaching their nesting grounds in the Arctic. 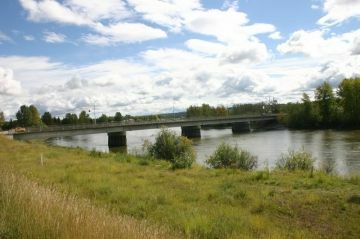 The sanctuary covers approximately 5 kilometres of the Nechako River shoreline. The entire river flows 516 kilometres from the Coast Mountains to Burns Lake and then north to Fort Fraser before turning east into Vanderhoof and eventually hooking up with the Fraser River in Prince George. The best viewing area of the bird sanctuary is in Riverside Park located north of Vanderhoof, BC. The park also doubles as a picnic site and campground. 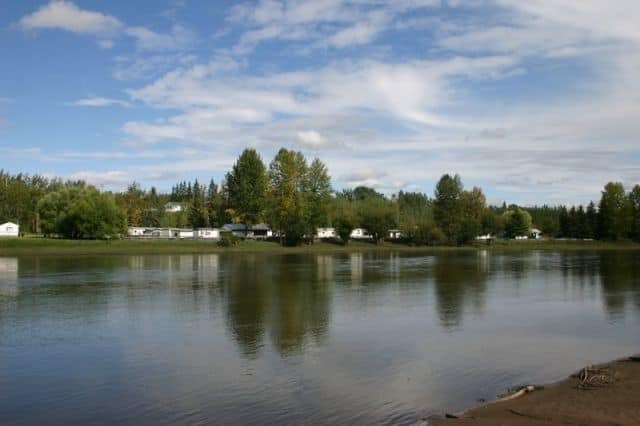 In the day use area of the park there is a nature walking trail which follows the shore of the Nechako River connecting to View Street. It is a gravel walking path used heavily by the locals for walks, jogs and birdwatching. The trailhead to the walkway is best accessed in Riverside Park. From the trail and when arriving in the main parking lot one should see a 2 story wooden viewing platform looking over the Nechako River. The well constructed birdwatching platform is well over 15 feet tall and provides a good view of the bird sanctuary. On the grounds of the park are many picnic tables, a picnic shelter, some pit toilets and a playground area. All connected to the nature walking path - some picnic sites come with views of the Nechako River. In the parking lot are some information signs about the bird sanctuary and the surrounding landscape to get you started. How to Get Here: From Hwy 16 in the centre of Vanderhoof, BC, Canada start heading north about 1 Km on Burrard Avenue (the main street of Vanderhoof). Continue down Burrard pass Louvain Street. On your left, before the bridge, is an entrance to Riverside Park. Look for signs. Go to the far end of the parking lot to the viewing platform and nature trail.